In spite of the lack of activity here, there’s a lot going on with SixDay. 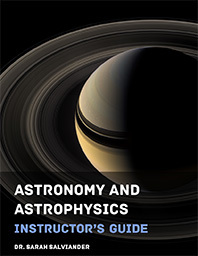 We’re working furiously to complete the Astronomy & Astrophysics curriculum and getting started on the Physics curriculum. We are looking at options to create an online community for those using any of the curricula so that we can interact with instructors and students and provide a platform for them to interact with each other. By this time next year in 2015, we’re hoping for a lot of activity on this site. The planned roll-out date for the curricula is May 2014 2015. Update: After a discussion with our publisher’s liaison, we’ve decided to push back all of the curricula to the spring of 2015. Sarah and her husband are expecting a baby in January, and there’s simply too much to be done to roll out the curricula by next spring—we’d rather offer high-quality products a little later than something that’s rushed to meet an arbitrary deadline. The good news is that the physics course will be more substantial, and we are also planning to create an elective course for modern science and the Bible. See here for more information. Heard your mentor on White Horse Inn. Great interview! Thanks for the link, Don. I’ll check it out.